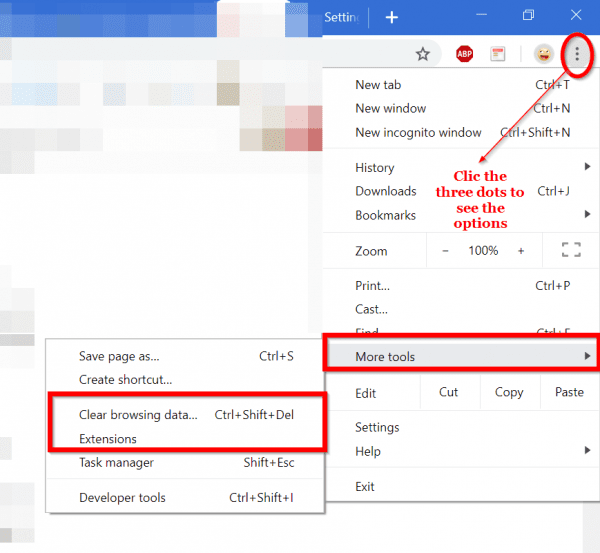 There are different ways to download desktop apps using Google Chrome. It has a default download manager which can manage your downloads. Sometimes, the full potential of your download speed is not utilized by this in-built tool of Chrome. In other words you will get 0.125 times the maximum speed your ISP has mentioned. On the internet, you see YouTube videos which promise 5x times the download speed which are false. The bandwidth speed can never exceed the maximum limit provided by your ISP. Sometimes, you also have a throttle on your upload speed, just like your download speed. This depends on your ISP. Read the below articles to improve speed of your laptop, internet explorer and kill processes to increase download speed of Chrome. If you don’t have any software or extension installed, Chrome’s default download manager kicks in. This will take over your downloads and saves in the default download location. In the below screenshot, you can see a typical download taking place. As you can see, for the same file, the download speed using Chrome is 168KB/s and transfer rate using download manager is 688.443 KB/sec. It shows that you can definitely improve the download performance. Read on to know the various techniques to obtain the above result. My connection is 6Mbps. I should be able to get a maximum or for that case, the optimum speed of 750KBps. But as you see, it is well below the par. So if you have a 1Mbps connection, you should get 125KBps speed. But what happens if you use Chrome default download manager and options? You will not even get that speed. Let’s calculate the time needed to download a file of size 75MB. For example, let’s take our ISP as 6Mbps itself (which is my connection speed). So it will download roughly 44MB in 1 minute. To complete downloading the file, it will take 103 seconds. But what if your default Chrome manager is downloading at only 450KBps. Then it will download 26MB in 1 minute. It will take approximately 3 minutes to complete the file download. In another case, if the download speed is only 125KBps, then it will download only 7.32MB in 1 minute. It means it takes approximately 11 minutes to download. What if the download is 750MB instead of 75MB. The difference will be huge. The slower the speed, more time will be required to complete the download. If the file size is bigger, the time required will increase. The folowing are some ways to increase Chrome download speed. 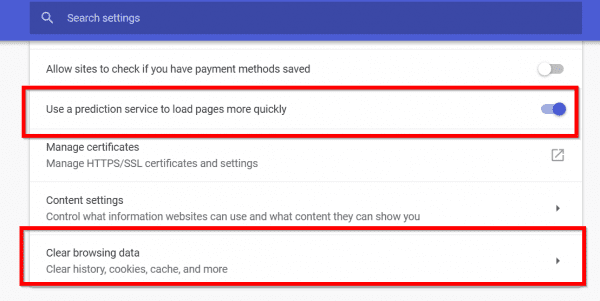 Let’s see multiple methods in which we can decrease the slow speed of your Chrome in 2019. 1. Click the three dots on the top right hand side of your Chrome browser. 2. Select “Settings” and click on “Advanced“. 3. Move the toggle switch “Use a prediction service to load pages more quickly” to on (it will turn blue color). 4. This will tell Google to download files and pages more quickly. Follow the first two steps above. 3. Under “Privacy and security” click on “Clear browsing data“. 4. On the next screen, click the button “Clear data“. 5. 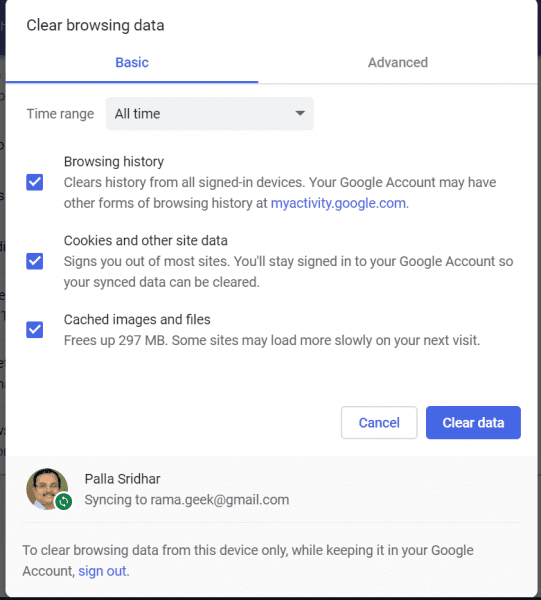 Make sure only Browsing history, Cookies and other site data, Cached images and files are selected. Select the time range to “All time” if it has been long, since, you used this option. 6. This will come under “Basic” tab at the top. Follow the first step above. 3. Click the “Remove” button beside any extension which impacts download speed. 4. You can also turn them off temporarily, using the toggle switch. 5. Most likely the culprits are heavily coded extensions which collect information or connect to the server. 3. Check whether the latest version of Google Chrome is running or not. 4. The latest version is 73.0.3683.103 as of April 2019. Using any of the above methods takes some time. Also you need to periodically do maintenance jobs to apply the above tweaks. If you want to just forget about the mundane tasks mentioned above and install and forget, then you need to use a good download manager. 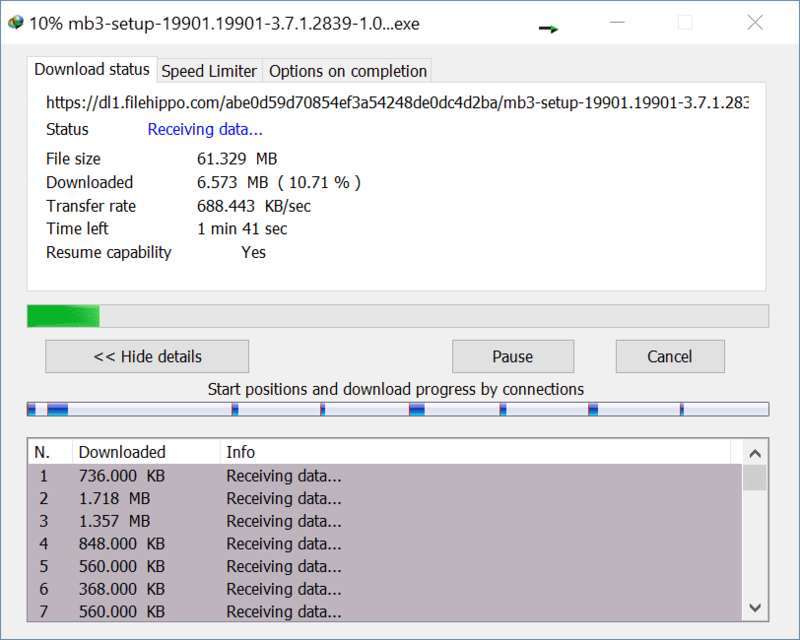 Read the below review about Internet Download Manager (IDM) in Windows 10. Internet Download Manager Review ; Why you should buy it? This will automatically take up the downloads from your Chrome browser. It will give the maximum optimum speed for your file download. If you think, it is unnecessary and want to use the default download tool of Chrome, then also you can do it. Just Press the Alt key and select the link, you want to use. The download is skipped by IDM. Though there are different methods to take care of download speed of your Chrome browser, the download manager is the best option. Though the Pro version costs a bit, it can be used to download YouTube, Facebook and other social media videos, images, files and other downloads. It is a multi-facet application which has many uses. Otherwise, you can following the remaining methods mentioned above, to use the default Chrome download manager. Those tweaks will also increase the download speed of Google Chrome. If you still face Google Chrome slow issues, you need to update to the latest version. You can also try to uninstall and reinstal the browser to check for any hiccups. Clearing your profile and bookmarks and start to sync from first will also resolve the slow problem many-a-times. If you like this article, please let me know in the comments.